- This is classic Kansas City Royals baseball, both good and bad. They have played very good defensively (especially two plays by third baseman Mike Moustakas) and pitched well by starter (James Shields was very good). But the Royals can't come up with the big hit to break game open (all singles). Why it is still close. - Good pitching beats good hitting. Shields was outstanding in his most recent two starts. Royals are going to beat you some nights simply because they pitch so well. Their team ERA is a half-a-run per game less than Tigers. - Great work by Al Alburguerque in the eighth. 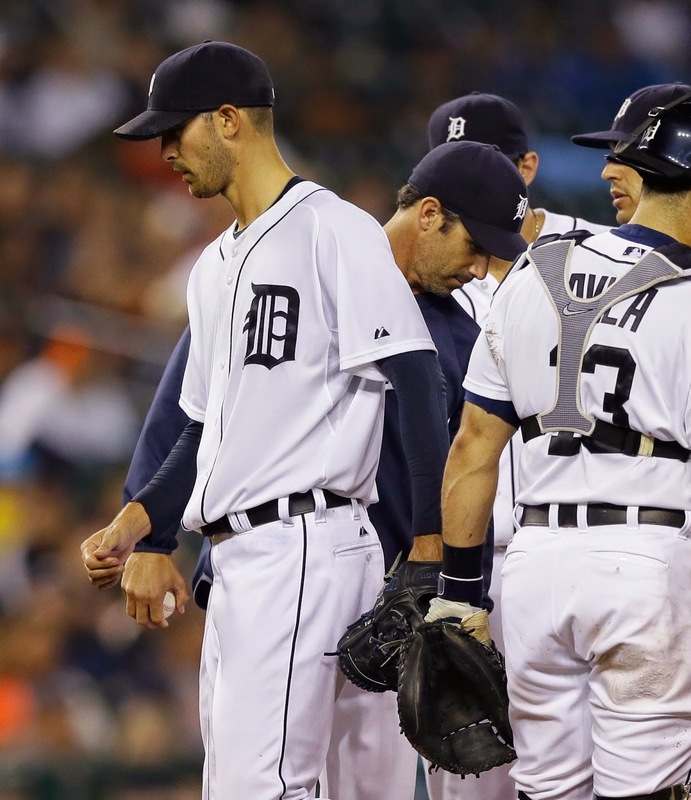 Another reason the Tigers are still in this game..
- It was a very good outing by Rick Porcello. He did what he does, get ground balls. A couple got through that's all. He did his job. Pat, your first paragraph spells success for them if the Royals can make deep in the platoffs.